If your TV has HDMI ports, chances are, you can stream audio-visual content from your smartphone, tablet, or computer to your TV via Chromecast. Chromecast is Google’s line of digital media players that is designed to play audio-visual content on high-definition televisions or home audio systems using Wi-Fi or local networks. The second-generation Chromecast, as well as the audio-only Chromecast Audio, were made available for purchase on September 29, 2015. The second-gen Chromecast consists of a disc-shaped body attached to a small length of HDMI cable. Unlike the previous version, the second-gen Chromecast’s smaller HDMI connector and contorting cable make it easier to get into tight spaces to access those hard-to-reach HDMI ports. Inside the Chromecast’s disc is a trio of antennae that’s used to pull in the strongest possible Wi-Fi signal. The second-gen Chromecast is also 802.11ac compatible and can connect to 5GHz access points for improved connection stability and a better streaming experience. Retailing at only $35, the Chromecast is cheaper than other digital media players like Roku 4 and Apple TV. Also, because it’s a Google product, you can use Chromecast to seamlessly stream content from Google Play, Google Play Music, and YouTube, as well as access content from services like HBO Now, Hulu, Netflix, and Spotify, just to name a few. Unlike other digital media players and streaming dongles, the Chromecast does not have a user interface or any independent capabilities. 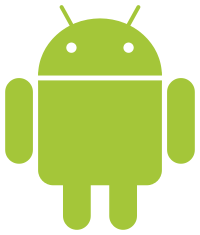 Instead, the Chromecast relies on apps installed on your chosen device to stream content. Chromecast users can select the media to play using mobile and web apps that support Google Cast technology. Google Cast is an extension that enables users to play content on their Chromecast device from their Chrome browser. Both Chromecast and Google Cast are compatible with the iPhone and iPad, Android phones and tablets, as well as Mac and Windows laptops. Users can also cast their Chrome tabs to their Chromecast devices, letting them enjoy websites, photos, videos, games, and other media from the best screen in their homes. 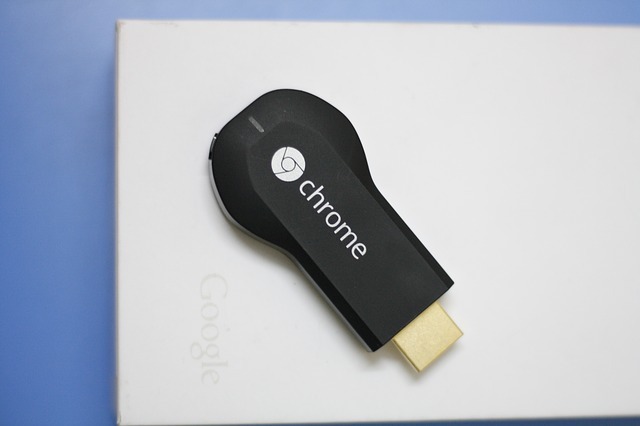 Connecting the Chromecast to your HD TV is a relatively simple process. Plug one end of the USB power cable into the Chromecast and the other end of the cable into the power supply. You should use the USB power cable and power adapter for optimal performance. Plug your Chromecast into any open HDMI input on your television. Plug the power supply into an open electrical outlet. Once the Chromecast is plugged into the television, you’ll see the Chromecast home screen. 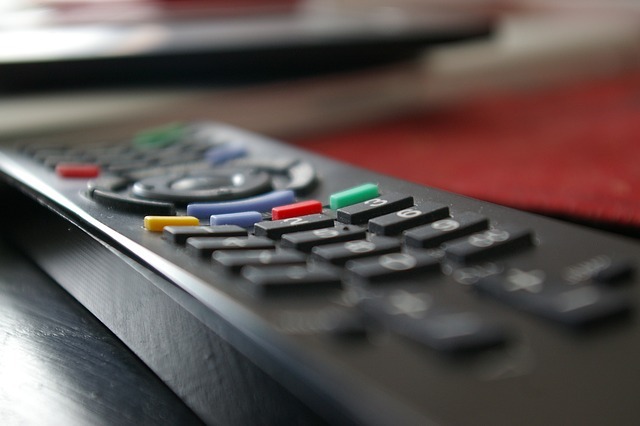 If the home screen isn’t visible, use the Input or Source button on your TV’s remote control to change the input until the Chromecast home screen appears. Having difficulty locating your TV’s HDMI ports? 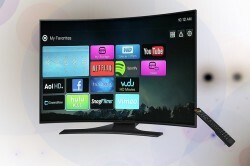 Some TVs have HDMI ports marked as “ARC,” which stands for “audio return channel”. ARCs allow you to divert sound from the TV to an external speaker such as a sound bar. Of course, in order to cast from Chrome, you’ll first need to install the Google Cast extension to Chrome. Once the Google Cast extension is installed on your Chrome browser, the Cast icon will appear in the Chrome toolbar (near the top right-hand side). For more information on setting up Chromecast, check out Chromecast Help. Casting a Chrome browser tab enables you to mirror what’s displayed on your device onto your television screen. To cast a tab from your Chrome browser, simply open the tab you want to cast. Next, click the Cast icon on the top right-hand corner of your Chrome browser, then choose the Chromecast device you want to cast the tab to. If you can’t locate the Chromecast device, try basic troubleshooting or get in touch with the Chromecast support team. Once it’s activated, the Cast icon will turn blue. All that’s left for you to do is sit back, relax, and enjoy the entertainment. Also, don’t forget to congratulate yourself on turning your regular TV into a smart TV, which enables you to enjoy rich media and interactive content from the best screen in your home.